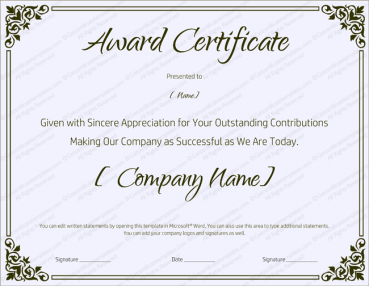 When a person does well in music it is important that they are recognized for a job well done. 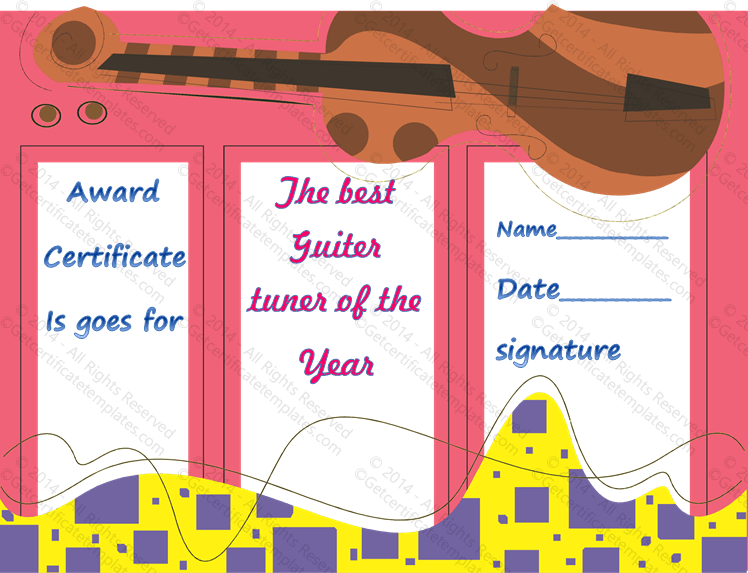 This Award Template for Music Guitar is bright and colorful. 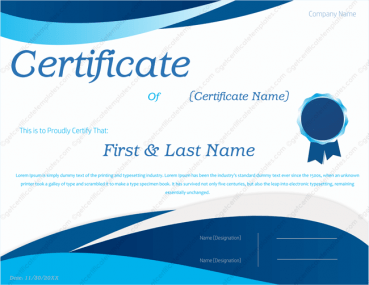 There is a large guitar that is going across the top of this certificate. 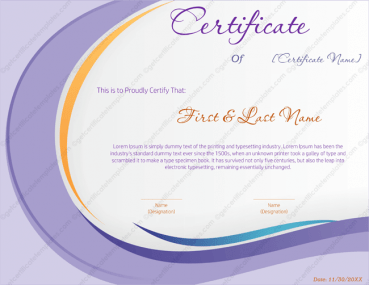 It can also be downloaded off our site and customized with personal information. 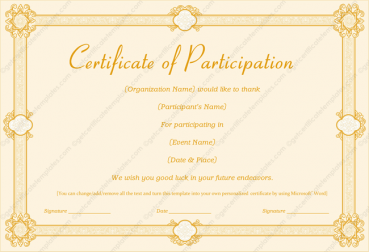 The certificate has a place to write in who it is being presented to and what performance they are receiving it for. 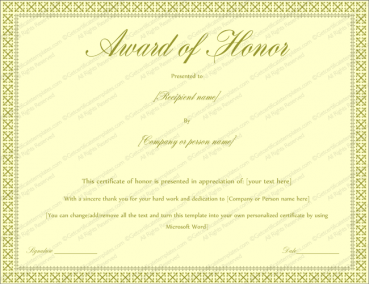 In the middle of the certificate it is stated that the award if being presented for the guitar performance. 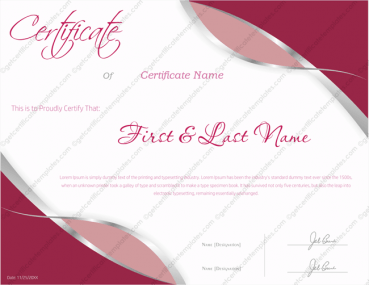 In the last column the presenter of the certificate writes in the name and the date. 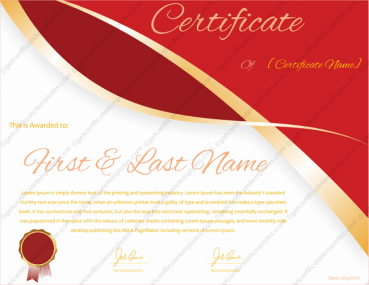 There is then a space for them to sign it. 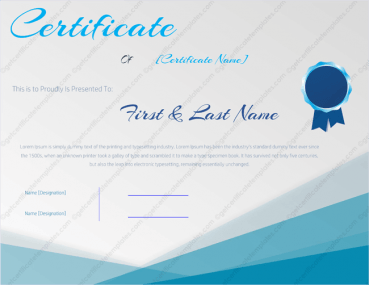 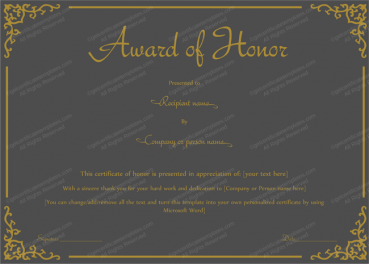 This musical certificate will let a person know they have done well and can be customized and printed right off our site.